Finally, there is good news from Egypt. During a visit to Washington, DC last week, Egyptian 70% this year. Tourists are venturing back to the country despite political turmoil - casting a vote of confidence in General el-Sisi’s efforts to restore economic and political stability since taking office last June. Yet, if General el-Sisi is to successfully revitalize the economy, promoting cultural tourism must be a core part of his strategy. Before the Arab Spring, tourism accounted for approximately 11% of the country’s GDP and was a significant job creator in the economy. In the aftermath of the 2011 Revolution, tourism dropped dramatically to 6.7% of GDP. Foreign travelers have stayed away during the political turmoil of the past three years. The breakdown in the security infrastructure also led to a massive increase in looting at archaeological sites - a devastating loss of irreplaceable cultural material. In the months since General el-Sisi has taken power, Egypt has been slowly rebuilding its reputation as a safe destination for the world’s adventurers. In 2010, a record number– 14.7 million - of overseas travelers generated revenues of approximately $11 billion for Egypt’s economy. U.S. and European tourists -- lured by Egypt’s romantic past -- flocked there to visit the Great Sphinx of Giza, King Tut’s lavish tomb, and other mysterious ancient sites. As the security situation improves, now is the time for Egypt to consider new opportunities to promote – and protect – its cultural and aesthetic patrimony. This must be an essential part of its economic revitalization plan. And there are lessons to be learned from another great ancient civilization, China. China has embarked on a creative and effective program to protect its cultural heritage and thereby 10.4%. 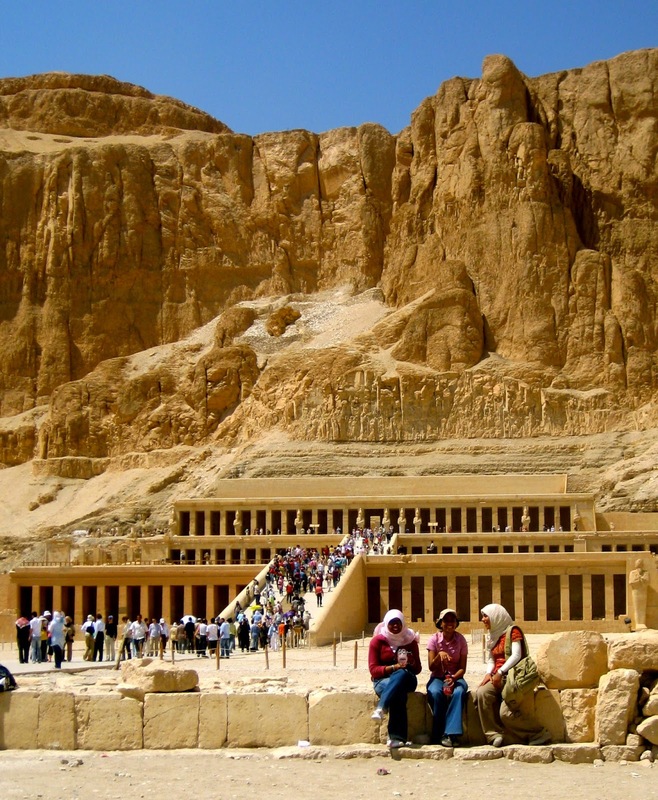 Tourists flocking to Hatshepsut's Temple. Not surprisingly, Chinese cities have been aggressively pursuing World Heritage designations - and the results speak for themselves. After receiving a World Heritage Designation, the historic site of Lijiang, in rural Yunnan Province, now hosts over 11 million visitors annually. The ancient village of Kaiping saw its tourism rise from 100,000 to a staggering two million visitors a year, with revenues of $7.8 million annually, after their inscription to the list in 2007. For rural areas with little industry, cultural tourism has become an economic windfall. Actively pursue UNESCO World Heritage designations. 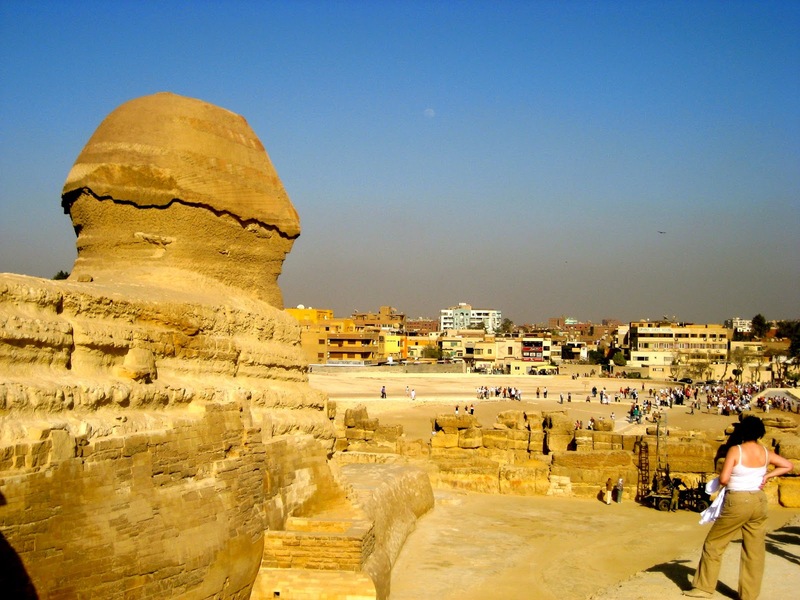 Egypt has a rich treasure trove of historical sites and geographies that deserve to be on the list. Yet the last site to receive UNESCO World Heritage Status in Egypt was in 2004. Given the positive economic correlation, it is in Egypt’s interest to tee up a number of sites for approval. Build up the tourism infrastructure. Along with these UNESCO designations must come the appropriate infrastructure to support an influx of tourists – quality hotels, restaurants and multi-lingual, well trained tour guides. Strategic infrastructure investment will have a multiplier effect throughout the local economies surrounding these sites. Site preservation and management. Essential to this strategy is developing plans to protect the historical integrity of the ancient sites. Without adequate advance planning, tourists can destroy the very sites that they have come to admire. Strategic public relations campaigns to promote tourism in key markets. As of spring 2014, Chinese tourists account for one of every ten tourists worldwide. American tourists spend approximately $86 billion on international tourism, but Chinese tourists far surpassed them in 2013, spending a total of $129 billion. And China’s growing middle class has a big appetite for international tourism, so it appears that this is merely the tip of the iceberg, in terms of tourism dollars. Implementing these recommendations would help grow Egypt's promising bump in tourism, and contribute mightily to the country's economic resurgence. It would be no small task to restore the tourism industry to at least 11 percent of Egypt's GDP, but there is much economic potential in Egypt's undesignated cultural sites. Sites for consideration cover a broad range of Egypt's history, from Pharaonic temples, such as the ancient Temple of Hathor to historic Islamic mosques and Christian monasteries. These are touchstones of our common heritage that should be widely known.